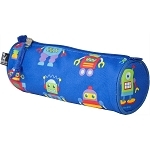 Our Pencil Cases are the perfect size for pencils, pens, markers, hair brushes, make-up, and more. Constructed from durable 600-denier polyester, these cases look great – especially when paired with one of our matching Backpacks. 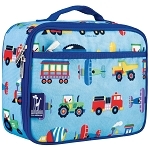 These cases come in a variety of fun prints. 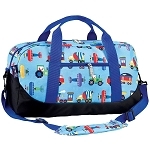 We also carry matching backpacks, duffel bags, lunch bags, lunch boxes and so much more.... 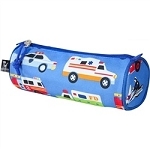 They have great storage capacity and these easy zip cases store everything from pencils to toiletries. Our products are rigorously tested to ensure that all parts are lead-safe, bpa-free, and phthalate-free. 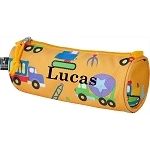 Each pencil case measures approximately 3"h x 8"w x 3"d.
The size of the embroidered name is dependent upon the length of the name; the longer the name the smaller the embroidered area. 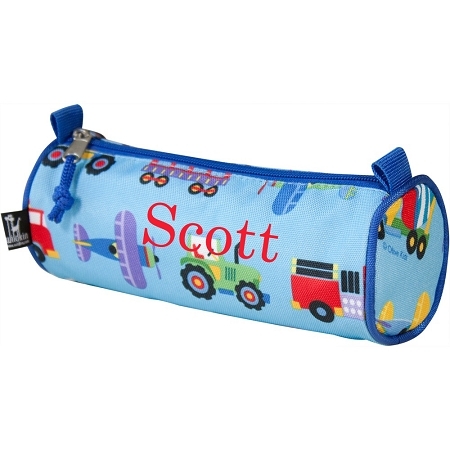 The product image with embroidery is an idea not a true sample.